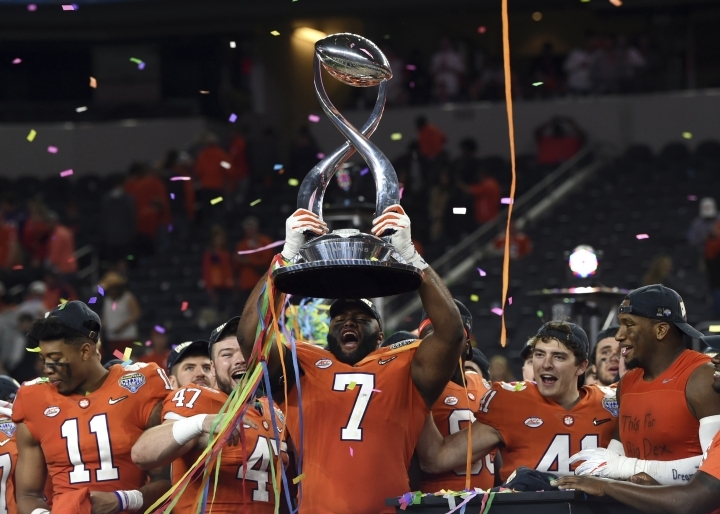 More often than not teams that reach the CFP championship game will play a total of 15 games. With the long-term effects of football more scrutinized than ever before, adding even one more game is not something done lightly. "We have different obligations than professional sports commissioners who are primarily in it for the entertainment value and driving as much revenue," said former Big 12 Commissioner Dan Beebe, who was a staunch playoff opponent back in the days of the Bowl Championship Series. "We have to consider these are student athletes, non-compensated young people." Uncompensated, but for how much longer? A federal court case in California challenges the legality of the NCAA's amateurism model and compensation being capped at the value of a scholarship. The NCAA has no involvement with the CFP, which is run by the FBS conferences. The playoff currently generates about $470 million per year that is distributed throughout all levels of college football. "Well if you're going to put one more (round) and everybody else gets enriched, what's going to happen with the ones who are playing in those games that are enriching everybody else?" Beebe said. ESPN executives are quick to point out they do not decide what happens with the playoff and would be fine with expansion if that's what the decision-makers want. But it's unclear how well-positioned the network is to cough up millions for more playoff games.